Product information "CYTZ - Billy Bishop Toronto City Airport XP"
Billy Bishop City Airport is a small regional airport located on Toronto Island in Canada. 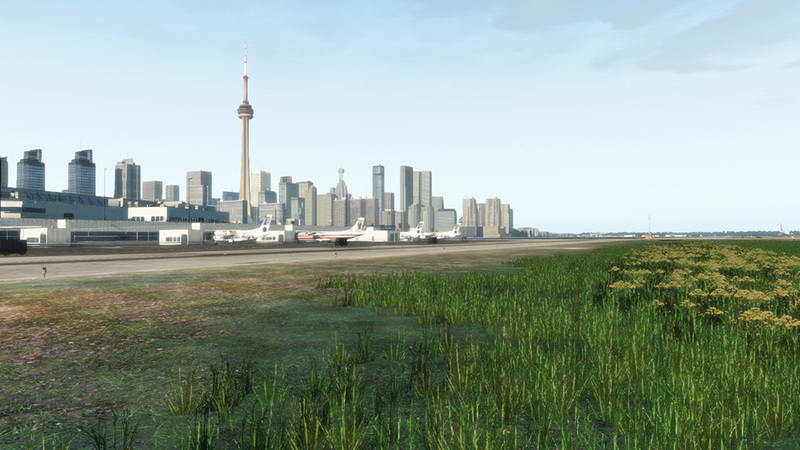 The second name of the airport is Toronto island airport and previously known as Port George VI Island Airport. South West of Downtown Toronto City, with amazing High Rising towers and the famus CN Tower. Under CBSA is classified the airport can handle aircraft with up to 90 passengers. The airport is accessible from a pedestrian tunnel or by ferry, operates between Toronto City and Airport every 15 minutes. Support equipment for General aviation as well with maintenance hangar. Explore Toronto City with helicopter and fly next to colorful CN Tower! Related links to "CYTZ - Billy Bishop Toronto City Airport XP"